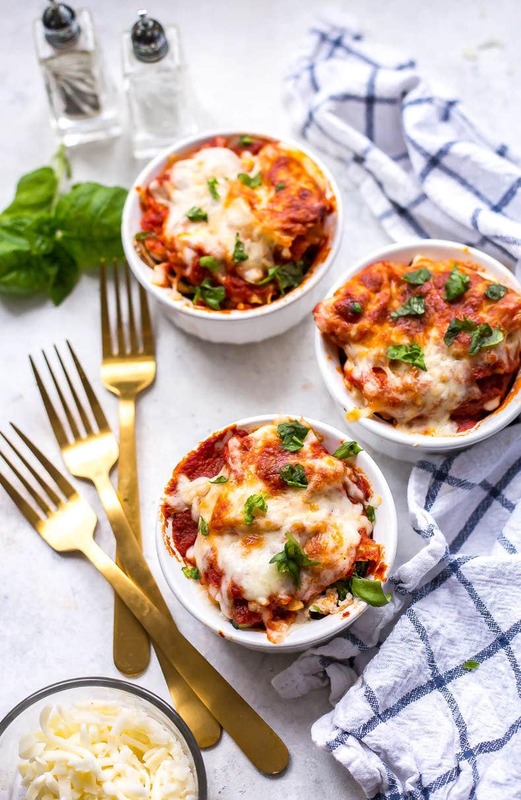 These Super Easy Mini Vegetable Lasagna Cups are such a cute individual serving size version of everyone’s favourite comfort food, lightened up! This post is sponsored by Panasonic Canada. Thanks for supporting the brands I love – they help keep my blog up and running! Move over Mini Chicken Pot Pies, there’s a new favourite comfort food in town. 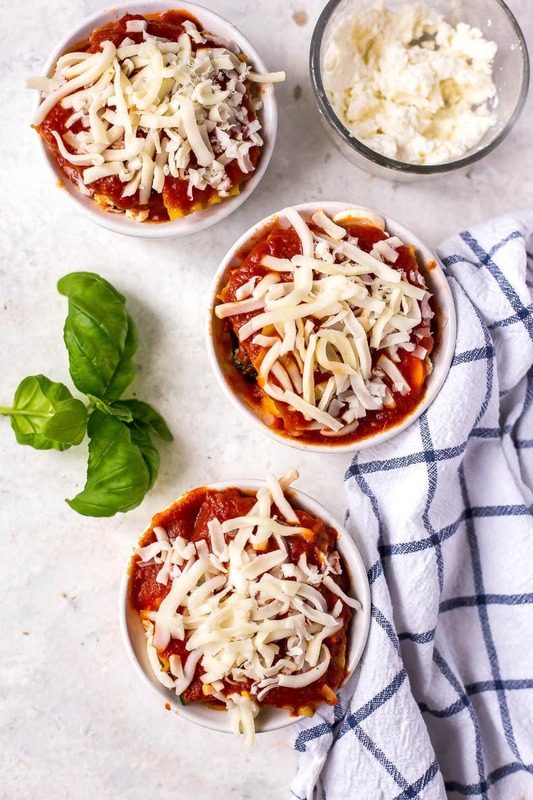 These Super Easy Mini Vegetable Lasagna Cups are a much faster version of lasagna with the perfect serving sizes for everyone! 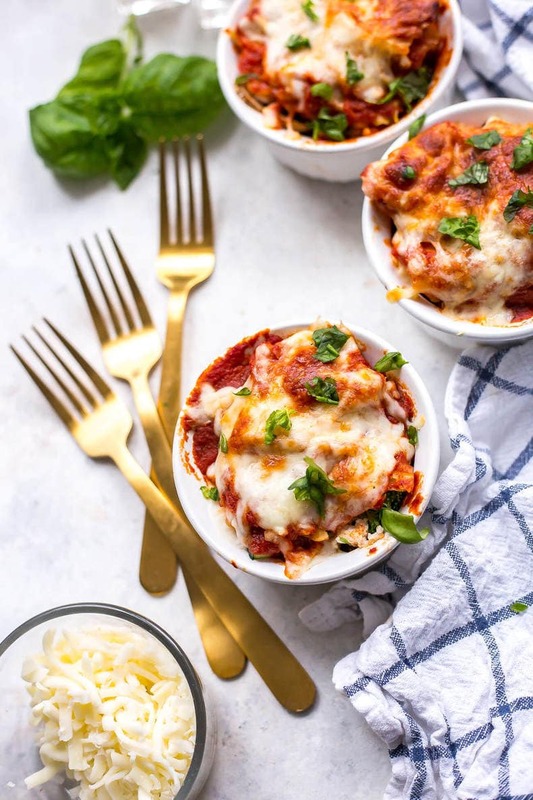 No more guessing the calorie count as you lift a giant slice out of the pan – these mini lasagnas are here to save your waistline! And how cute are they by the way?! You can make them ahead of time to bake later on. They are so delicious when you’re craving lasagna but don’t have the time and energy to devote to making one from scratch, or worse yet, waiting an hour or more for a frozen one to bake in the oven. On busy nights, lasagna is seriously my go-to. I need something I can pull out of the freezer, or I at least need to have a plan in place to make dinner quick and easy. Sometimes if I have a little extra time on a Sunday I’ll prep some of my meals ahead of time so that they’re ready to pop in the oven. 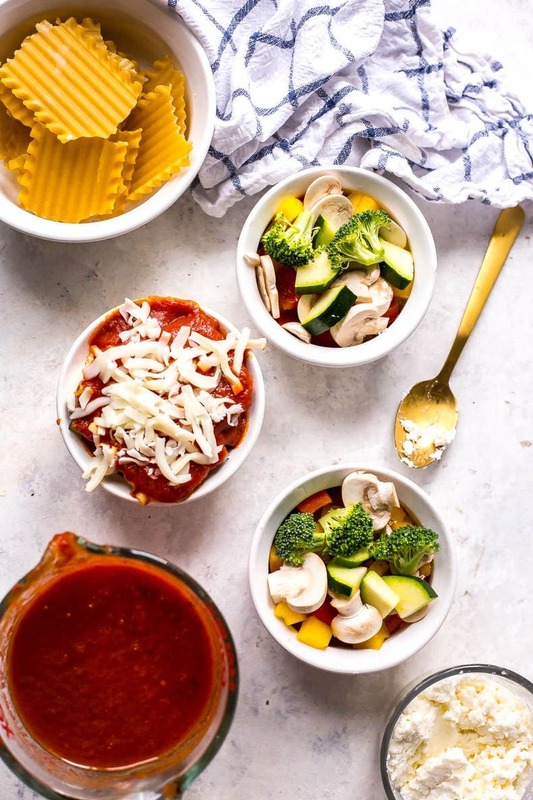 These Super Easy Mini Vegetable Lasagna Cups do the trick! 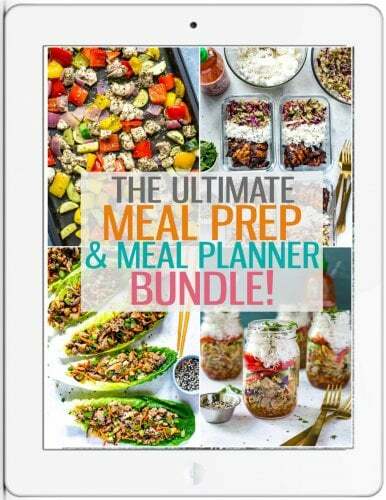 As you know, even though I love cooking so much, I love saving time. As a blogger I have such a weird schedule. On photo shoot days, I’m usually photographing a bunch of recipes in bulk and then eating the leftovers for the next week or so, or pawning them off on friends and family. The rest of the time, I’m on the computer from about 7am to 2pm, and then I hit the gym and come back and work some more. Because I’m a workaholic I’m usually going until about 7pm or 8pm at night, at which point I finally decide it’s time to stop work and make something tasty. I plan out all my lunches and dinners when I’m not shooting and I tend to spend about an hour making dinner (dinner is usually turned into lunch leftovers the next day) and during that time I mostly really enjoy myself. I put on a TV show, do some chopping and sauteeing, and just let my mind go on autopilot. But all of that said, there are days I don’t have much time to cook (aka weekends and crazy busy work days), or I’m really just not feeling it. Even as someone who loves cooking, I can run out of patience with it. I can’t imagine what it’s like to be somebody who doesn’t care for it. Because we all know, most of us live to eat and want every eating experience to be pleasurable. But most of us also just don’t have the time. That’s where my new Panasonic 3 in 1 Steam Oven comes in! 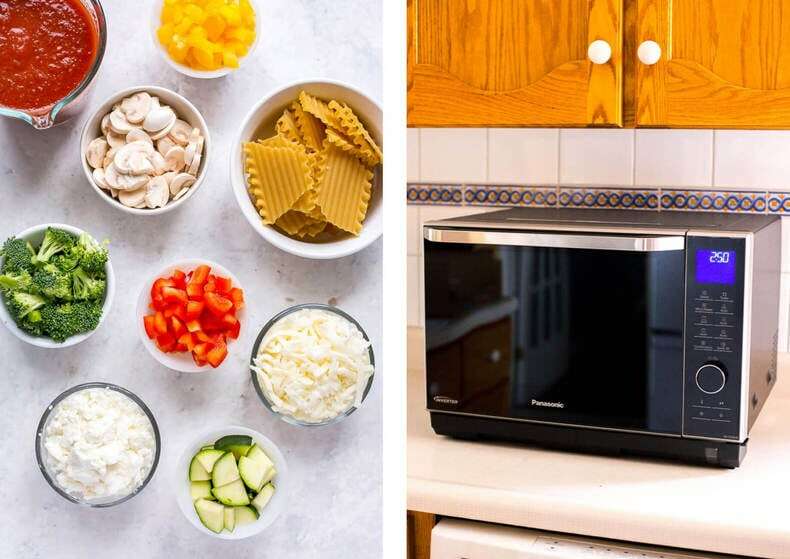 I teamed up with Panasonic Canada to bring you a delicious last minute dinner idea that you can either prep ahead of time or mix together at the last minute and bake in the 3 in 1 Steam Oven. With three different functions, this has quickly become one of my new go-to kitchen appliances. 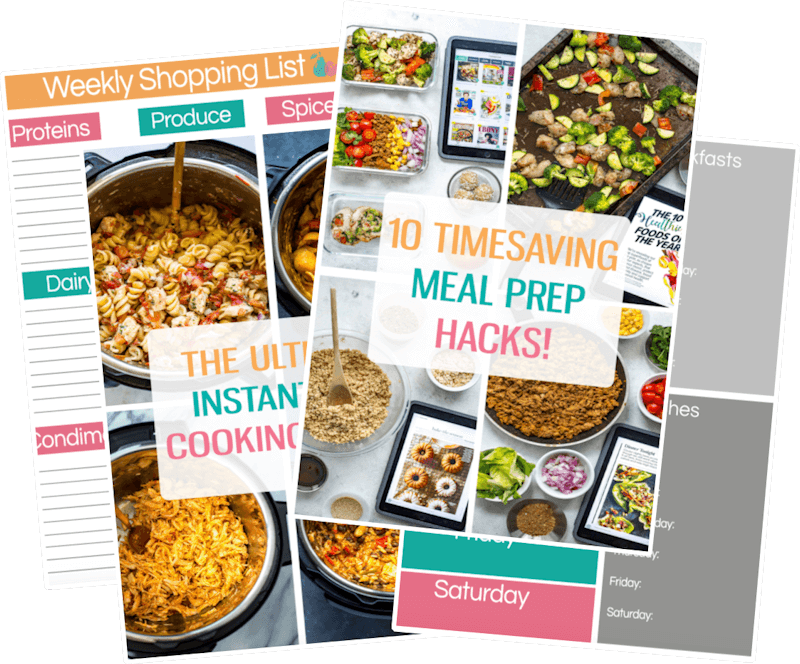 It’s super easy to use and with all the ways you can cook different things, it’s going to save you a lot of time and hassle in the kitchen, and maybe even replace one of the current appliances taking up extra room on your counter. The upper heater and microwave-heated Grill Tray reduces cook time top to bottom so there is no need to turn meat over. The touch and tap panel is part of a sleek design that will definitely upgrade your kitchen, it’s so easy to scroll through multiple cooking options. Let’s dive into these Super Easy Mini Vegetable Lasagna Cups a little bit more. For one, they are vegetarian, and I kept them this way because I find prepping a meat sauce is what takes the most time in making traditional lasagna. So here we are, a meatless lasagna with only 5 to 10 minutes prep time and 20 minutes bake time. Yes, you heard me right: homemade lasagna in half an hour or less! 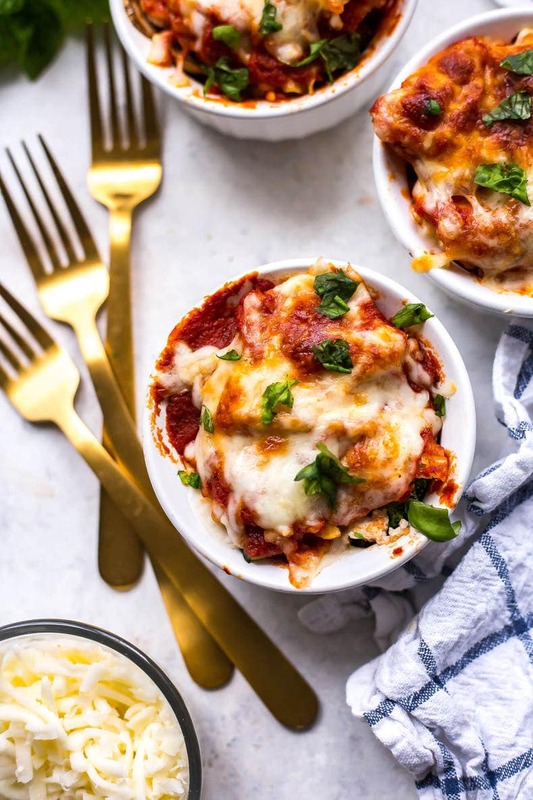 These Mini Vegetable Lasagna Cups cook super-fast because they’re a smaller serving size, and you don’t need to do anything ahead of time if you don’t feel like it. Chop up your veggies, layer in your sauce and cheeses, bake and boom! Comfort food in a cup! I mean who doesn’t love lasagna?! I think it’s one of those foods I’m always in the mood for. 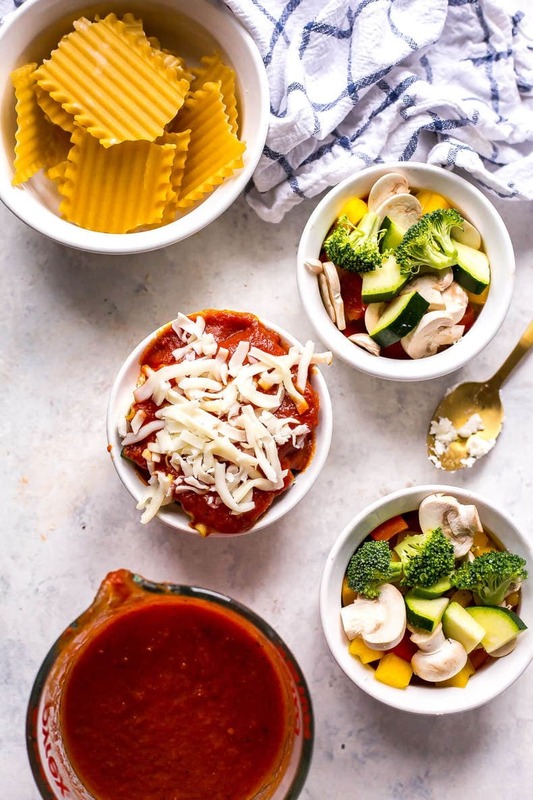 Will you be making these Super Easy Mini Vegetable Lasagna Cups? I’m absolutely obsessed with mini comfort food recipes in ramekins! I really think they are the perfect solution to over-indulging: you can still have what you’re craving but rest easy knowing you won’t be overeating! The Panasonic 3 in 1 Steam Oven can be found for $699.99 at select retailers and via Panasonic Canada’s eStore. To find out more, visit Panasonickitchen.ca/steam. 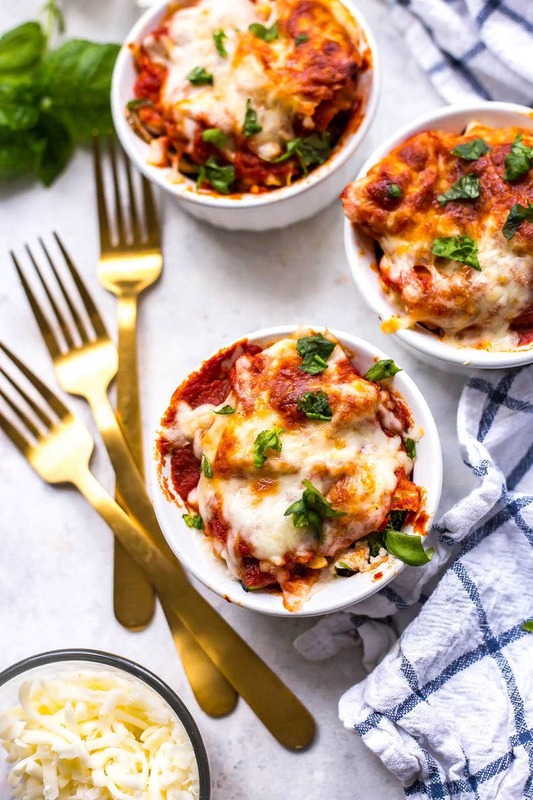 These Super Easy Mini Vegetable Lasagna Cups are such a cute individual serving size version of everyone's favourite comfort food, lightened up! Preheat the Panasonic 3 in 1 Steam Oven to 350 F. Grease 4 ramekins with olive oil. In a medium-sized bowl, mix tomato sauce with salt and pepper. Set aside. Divide remaining ingredients evenly among ramekins, starting with ricotta cheese, then lasagna noodles, veggies and more ricotta. 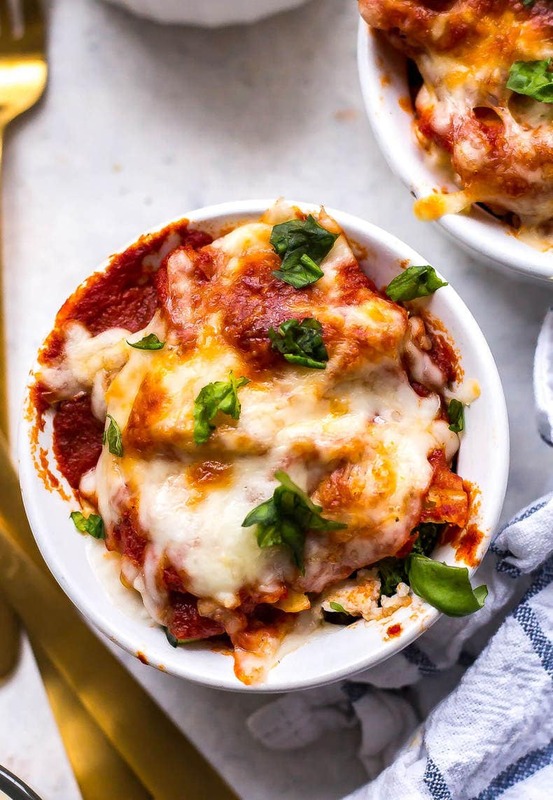 Top with lasagna sheets and pour a bit of tomato sauce over top (you can also add in a bit of tomato sauce before AND after you put on the top layer of lasagna noodles) Add grated mozzarella cheese to top of each ramekin. Bake in the Panasonic 3 in 1 Steam oven for 15-20 minutes until lasagna noodles are al dente and cheese is melted. Remove from oven, top with fresh basil and serve. This might be a silly question, but is the cooking temp and time the same in a regular oven? I haven’t tested it so I couldn’t exactly say, but you could try it! If I wanted to freeze this, would I do it before or after baking? And then how long would I cook it from the freezer?